Sightwitch was freaking amazing and it’s not like I didn’t expect it to be, because I did. I actually procrastinated reading because I knew I wouldn’t want it to be over. It’s a shorter book but it had me wrapped around it's little finger. I loved every character and learning about this bit of the Witchlands. This story is set prior to Truthwitch and gives us such a great insight into the Sightwitch sisters history as well as all of the Witchlands history. 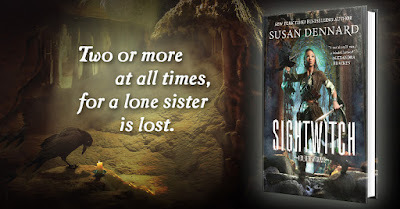 I enjoyed all the Sightwitch sisters and learning about them through different journal entries. Of course I also loved The Rook too. I’m obsessed with Ryber. I love her, maybe even more than I love Iseult and Vivia. I want to reread the first books in her POV. She is just an awesome character. I can’t gush enough about her! She makes me laugh that she is such a rule follower and she is also smart, clever and witty. Her interactions with Tanzi and Kullen make me want to say can you be my friend too? Love love her. Kullen! When he first meets Ryber their interactions are perfect! I also really liked reading the entries for Eridysi. 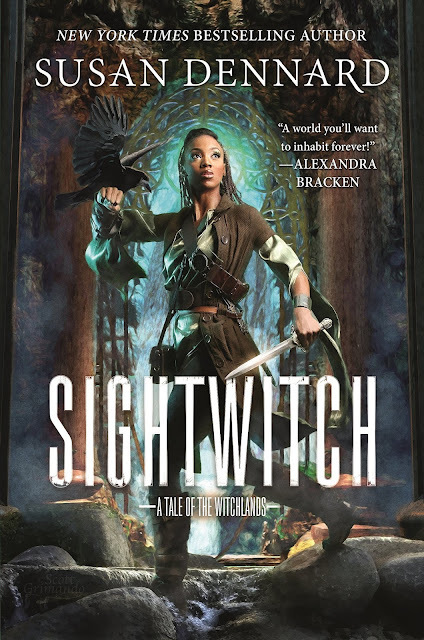 Sightwitch adds so much to the rest of the series. So many things!! I loved getting this little bit of history from a thousand years ago. It was so interesting!! The World Building is solid and it happens in such a small space when you think about it. The Covenant and the Mountain are our backdrop. These places were so flushed out though and they came vibrantly to life in my mind through the illustrations and descriptions. It made me love the style that this book is written in even more. I love the Witchlands. I always feel like I’m in a video game and I love feeling that way. Although the skull spider thing just kept making me think of Skulltulas that are in Zelda, I’m pretty sure that’s not what they look like but I couldn’t get it out of my head. I'm always a fan to see what creature is going to come out of the woodwork, or ice in this case. The Shadow Wyrms are freaky!! I could gosh about this book all day. I really loved it and what it adds to the series. It makes it that harder to wait for Bloodwitch but it also made me want to reread Truthwitch and Windwitch to catch all the things I probably didn’t the first time. Especially armed with this new information. I love these books cause they help me in my project for https://students-stuff-70.webself.net/. Studying sometimes is easier when you have learning materials especially when you are a write and you should read more of what the market offers.